My 06 need to take my time build. hello all. I think i have introduced my self elsewhere but ill do it again for consistency. My name is Tony, I am relatively new to the off road world but i have been a Mopar consumer (I say consumer only because some times it was not by choice that i drove a Dodge) for a really long time. Back in may i traded my most recent ram a black 1500 QC 4.7 in on what i hope to be a long time member of my family. I purchased an 06 RED Quad Cab manual power wagon from Carmax. The she looks in good shape only had 33500 original miles but was in need of some TLC. she came with after markt rims form Motto with the original KO's and a Dodge drop in bed liner. Ill post a pics once i get a clean one that does not have a part of my thumb in it...(stupid cell phone) i have posted in the pic thread but ill put some of the later pics here. Since i acquired her on May 5th i have done the following in an effort to get a good baseline of the truck. Full oil change from what ever Carmax put in to a mobile one synthetic to get the system cleaned out a bit. Replaced the stock air filter with a K&N drop in. Changed all the spark plugs as it was over 33k on them used the Champion copper. With this done back in july i took the PW up to Shasta and ran the trails up to Brandy Creek Falls Trail head. Not a rough run but i wanted to exercise the 4wd and it did fine. I was getting a bit leery of the fact that this truck was 6 years old and as far as i knew the only fluid changes were oil. So i have remedied most of that. after putting an additionally 4k on the truck i did the following. Drained and replaced the G56 fluid as well as the transfer case with RP Synchromax. This quieted down the transmission a lot from the noise i was hearing at low speed. i had the radiator flushed and filled and added in the RP radiator additive. I then i replaced the battery. The one i found in there was a wallmart branded battery that was doing ok but i dint trust it for some reason. So out it went and in went a Sears platinum type 65.
my next update is going to be the breaks. 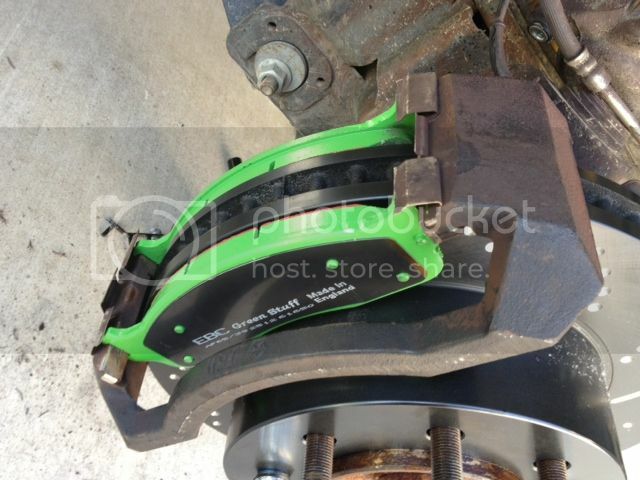 I got a burr up so i went and ordered EBC sport rotors the dimpled and slotted not the drilled. And some green stuff pads. I know you have all mentioned the empty wallet syndrome but im beginning to experiences it , WOW Those arrived today so i know what my weekend should look like but im sure something will get in the way. Ill ad pics of the install when i get it done. 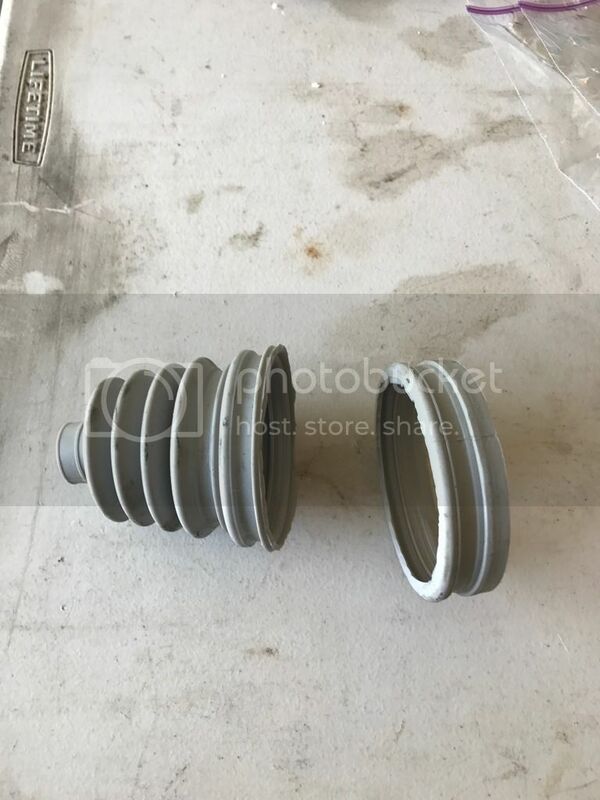 Future will be a spray in bed liner and new diff covers once i see that DOR has them for both front and back then ill pull then and fill them with a nice gear oil. 2006 Power Wagon Quad Cab Manual Moto Rims stock size, Cooper ATP, Dynatrac Ball joints, Dynatrac Free spin kit with Warn hubs, AmSteel blue 7/16 x 100' synthetics rope from Custom splice, Sony BT 602 stereo and backup camera etc. Rancho 9000XL adjustable shocks. "No statement should be believed because it is made by an authority. Re: My 06 need to take my time build. Everything you did so far was spot on as far as I am concerned!!! thanks much. There is an additional story with the Carmax purchase. When i went on the test drive there were some issues. air blender door not working, an interesting rattling near the transmission in second gear. 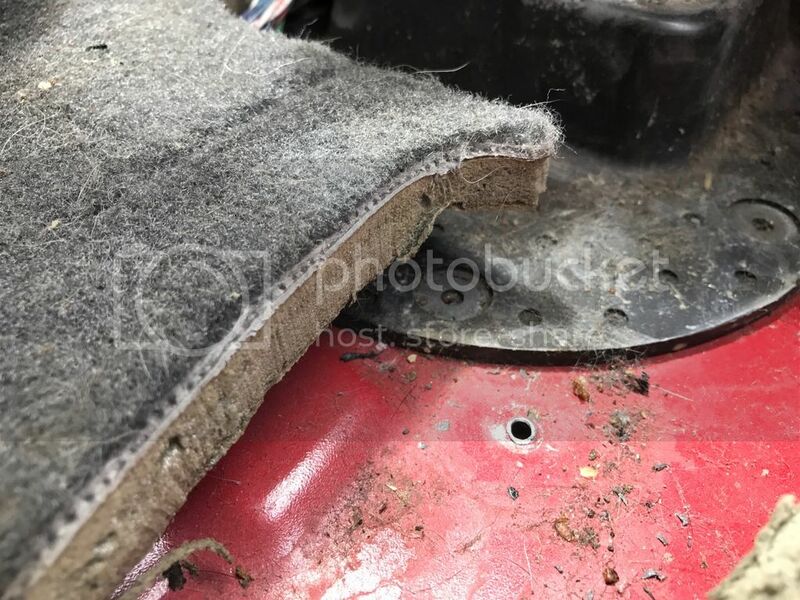 When i went to drop the new air filter in i noticed a large amount of what could only be described as pellet like objects (suspicion was rodent droppings) in the intake side of the air cleaner. I brought all of this to the attention of the Carmax tech who took the truck in to do the work. He looked embarrassed for this find as they claim all there cars are thoroughly cleaned. To his and Carmaxes credit they stayed on top of it and i got daily reports as to the progress or what the hold ups were. They took care of it and all the other items the rattling was apparently a heat shield that had come lose the internal air and climate system was completely replaced on there dime. any way the buying experience with Carmax was pretty easy not sure i would trade in a car there but thats all around relative value. any way here is a picture of the PW from teh day i purchased her. Update: i have still not gotten to the break updates but i have done what i call a safety update. I have added a backup camera and replaced the stock deck with a Sony 601BT touch screen system. Thea camera has come in very handy and is mounted just on the top of the hitch receiver. After some interesting observations with oil consumption i may be switching out oil types. i'm presently using RP 5w30 and after my initial change at about 3600 give or take i noted that the oil looked dirtier than i would have expected as well as being low about 1 qt. So i had it changed out again with rp and an rp filter. Now at 2800 miles after that change i find it 1qt low again. I have added a quart and done some research and was interested to find that a lot of hemi owners are burning oil. One notes on a thread in the Ramforumz even stated that a service tech quoted a dodge spec of up to 1 qt per 1000 miles is within spec. I'm going to watch the oil much more closely and see if this is my truck or something weird with my driving habits. if this persists through he next oil cycle then i may switch to a diff synthetic and if the behavior persists back to Dino and see what i can see. I am planning at the next interval to do an oil analysis just for piece of mind. A good habit to get into is check the oil every time you fill up. When your getting gas have you ever noticed how nobody is ever checking under the hood. At work, we check oil and coolant every morning before you turn that key, If you ever get caught not doing it they'll send you home for a week, the second time your're fired. I lose about a 1/2 to 3/4 of a quart between changes , 5,000 mi. . The quote you heard was from one of those old school guys. The old 318s and 360s use to burn oil, or at least I never hear of one not burning oil. This was IMO because of how loose the tolerences where with the oil rings for the pistons. I do not burn oil or loose oil at all, and I am one of those that check my oil at every fill up that should be standard might I add, but, is not so much anymore. WOW how times have changed! If you're not seeing a blue tent to your exauhst then I would have to ask this. When you change your oil, are you filling it up to the top of the crosee hatches on your oil dip stick? Are you checking your oil after you start her up for the first time with a dry oil filter? chromedragon wrote: Update: i have still not gotten to the break updates but i have done what i call a safety update. I have added a backup camera and replaced the stock deck with a Sony 601BT touch screen system. Thea camera has come in very handy and is mounted just on the top of the hitch receiver. After some interesting observations with oil consumption i may be switching out oil types. 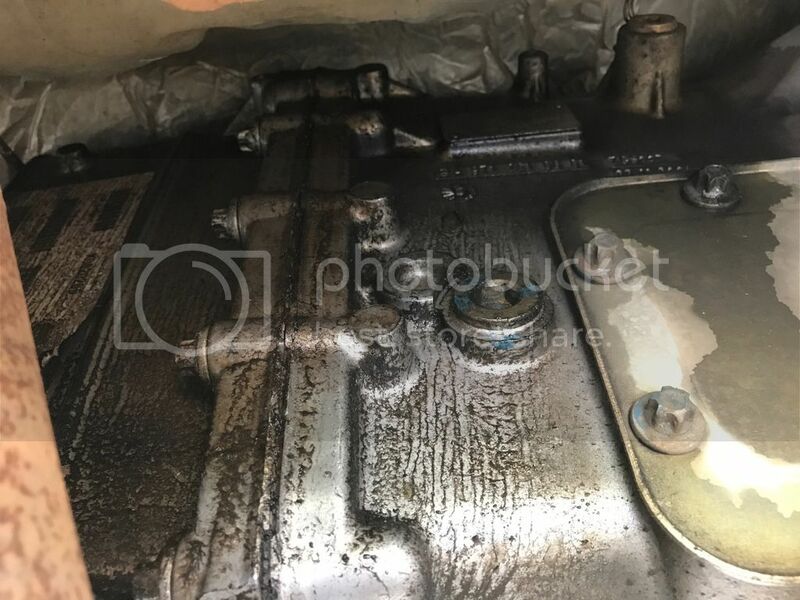 i'm presently using RP 5w30 and after my initial change at about 3600 give or take i noted that the oil looked dirtier than i would have expected as well as being low about 1 qt. So i had it changed out again with rp and an rp filter. Now at 2800 miles after that change i find it 1qt low again. I have added a quart and done some research and was interested to find that a lot of hemi owners are burning oil. One notes on a thread in the Ramforumz even stated that a service tech quoted a dodge spec of up to 1 qt per 1000 miles is within spec. I'm going to watch the oil much more closely and see if this is my truck or something weird with my driving habits. if this persists through he next oil cycle then i may switch to a diff synthetic and if the behavior persists back to Dino and see what i can see. I am planning at the next interval to do an oil analysis just for piece of mind. Thanks all for your commentary I agree the older 318's ate oil but i was prety sure the comments was about the 5.7 hemi, again it was on dodge talk and burried so who knows. The oil seems to have stabilized. and when i do check it its either when i fill up or about 20 min after i get home. As for the oil change i have to go to a local place to the the work done HOA rules. So take all the supplies and watch them like a hawk. They feed the truck the 7 quarts i bring and use the filter i provide. I am still keeping my eyes on this either way its just good practice. On to more amusing things. ok all the Front brakes are done and in and tested. They feel far more solid than the factory stock. Officially i changed the disks and pads at 45k and change. here is a pic of the right side assembly. The EBC parts went in no muss no fuss the biggest headache as i noted above were the 18mm bolts holding the pad and caliper mounting bracket. If it looks like this is going to be a theme when i do the backs i may youtube the thing as i have noted that none of the videos talked about the headaches i ran into. 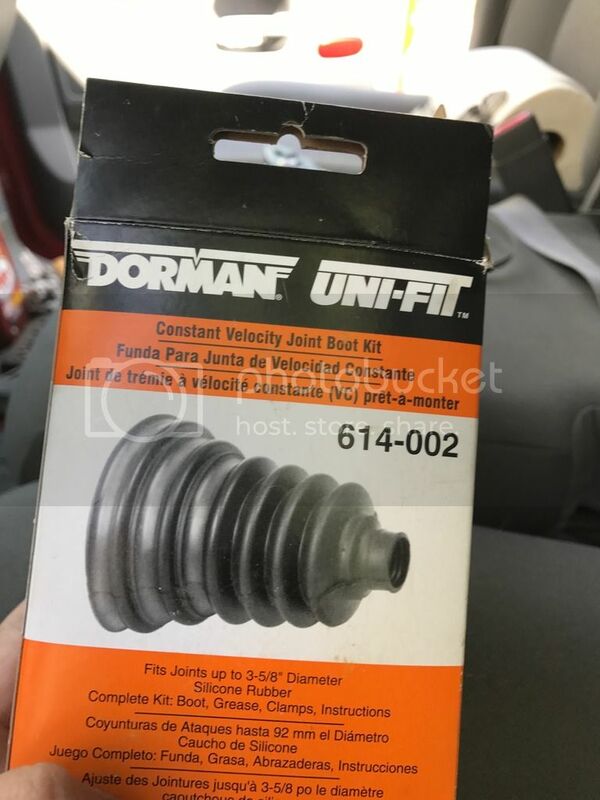 Here are the Splined Lug nutes i mentioned and the stock jack lug wrench was a hex am still looking to see if there is a key hidding in the stock jack kit. It looks great we have 269.000 miles on mine other then the lockers doing what they want when they want everything is ok. 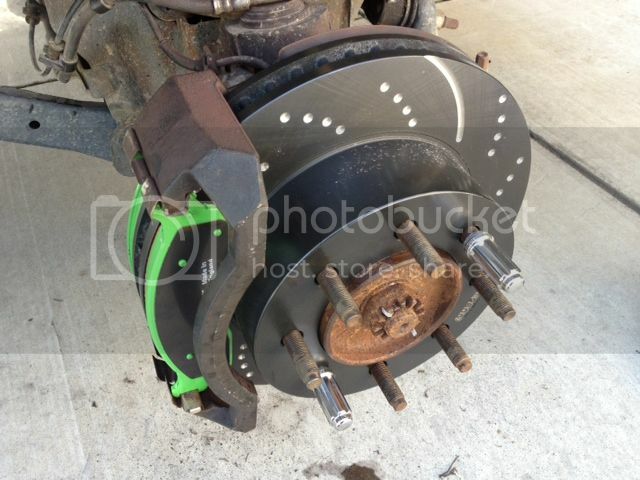 So you have a way to go yet miles wise your brakes look cool,it probably stops on a dime end gives you nickel change. Welcome to our family. The fun part i have been able to take the truck on some fun outings i posted a pic in the pic thread of the truck at the top of Bally Peak near Mt. Shasta in addition to several trips up and down mule town road into and out of the Whiskey town Rec Area. On the last trip up that way i picked up a nail in the back left tire, right on one of the shoulder lugs. This happened of course on a sunday, coming down the trail ( no damage to the people or truck), and was hissing a bit when i reached one of my destinations. so i had some entertainment at the redding Wall mart had them swap the spare on to the rim and put the old tire back on the spare steel so i could see if maybe a more dedicated tire shop could fix it. The amusing part other than having to show the Walmart mechanic how what was needed to get the lugs off and how to get the spare tire down and what all the tools to do that looked like , was that it only cost 13.00 to have them swap and balance the tire. the damaged and remounted tire was still full at about 50 lbs when i got it to Americas Tires this am. Guess the nail was plugging the hole well. I am how ever sure if i decided to run on that bad things would have happened . so after discussing things with the folks at americas tires a the old tires seem to have been the original set they were 2005 vintage had 50k on them and looked as if they were going to give me 5-8k more eaisly but after staring at them i notices a bit of gouges and chunks missing from some of the lugs. So the Age and the interesting wear lead me to 4 new tires and the original spare that is still full tread back on the steel rim tucked up in the tire bay. The new tires you ask ...well those are Cooper ATP 285 70 r 17 E1 tires they seem to ride well the reviews have been solid the tread looks a touch more agressive than the BFG ko's. I probably could have gotten away with one new tire but i would have had 2 fresh and 2 worn and that kind of bugged me so i invested on the 4 new. Out the door it was 1059, with all the certificates and such. The guys at americas tires have always done right by me even when i had not purchased the tires from them. I stil have not gotten to the back breaks but that will be done shortly. will update after i get a few miles on them. Been a bit since i updated this so its time and there have been some events. Rear brakes were done a bit ago but i think i waited long enough that i may have to go back and replace the fonr pads already. The good the Bad and the hope. 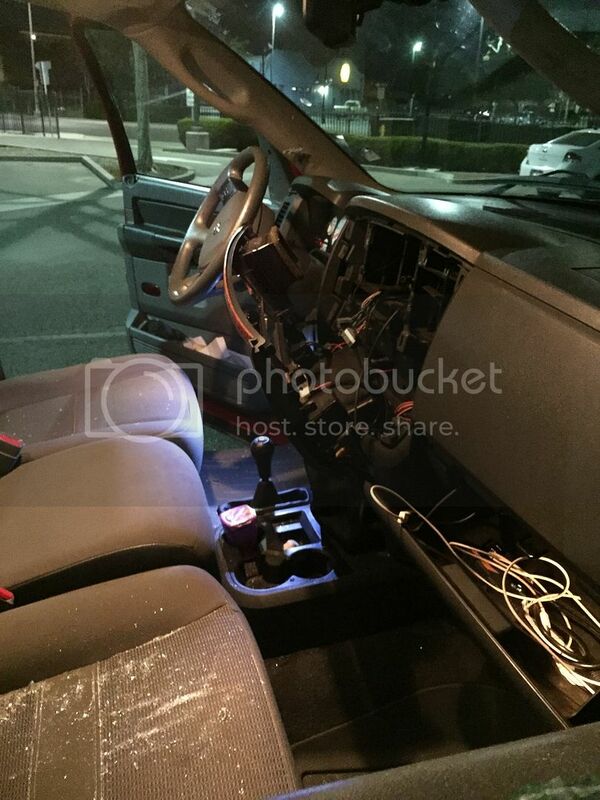 The bad news: The truck was broken into bad bad things happend. Did you all know our windows are laminated glass? 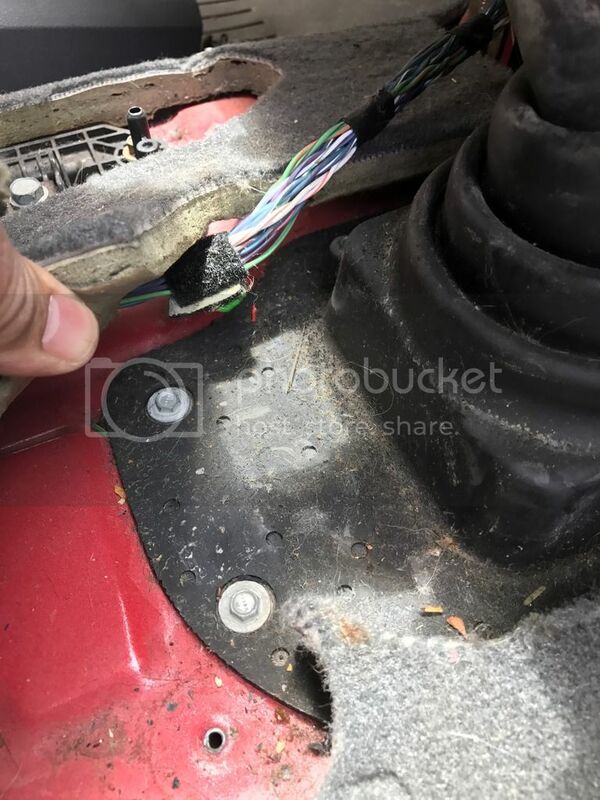 answer: all the stereo and internal damage is covered with a 25.00 deductible (yes 25.00 not 250 like i was expecting) and as the stereo is an older generation after market the company gives me the next generation as a pain and suffering bonus if you will. so the truck goes in Monday the 16th march i don't know when i will get it back and while i have a low deductible i also did not get rental coverage so that is out of pocket. the good and the bad. Ok so i was thinking about updates to the suspension as i have 75k on the truck and only 40 of it was in my possession. i was expecting shocks due to the fact that i have felt excessive body roll and such what did come back was interesting. The plan is to put in Dynatrac Ball joints and a Dyna free spin kit with the warn hubs. Also added shocks didn't go crazy, went with the Rancho 9000xl shocks tagged for the Pw. so i guess My birthday or the Pw birthday came early and the front end is getting a nice upgrade. I will send a report back on the shocks they have had really good reviews for the kind of driving and off-roading I'm planning. 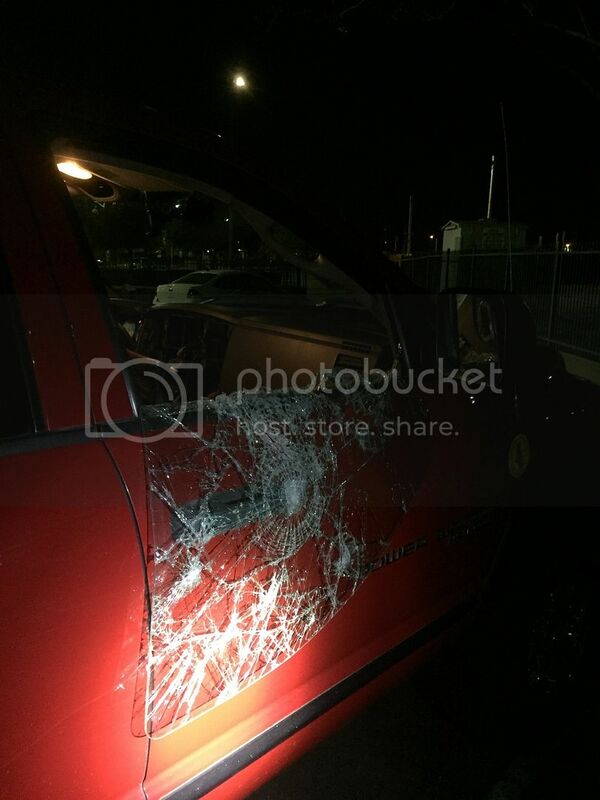 Repair update: Truck is in the shop for the damage from the break in. At the moment i wont have it back till the 24th of March. Truck is all repaired its at 98% of what i had her at prior to the invasion of the that broke in. The insurance company was fine. (mercury for those that care) the body shop was a bit off but the work they did was solid. It did take two trips but the second one was under a day. The Mobile stereo contractor that was used by the insurance company well lets just say that left something to be desired. The company was responsive but their local rep was very passive aggressive and would not answer a straight question and was very limited in his big picture thinking. As a result the stereo is in after 3 tries. The positives i have the next generation of the stereo model i had and a better camera in the back. The bad was i had to get them to take out the old damaged camera with a lot of pointing and growling and they still after they left managed to mess it up. There is still a cable from the camera line dangling from the underside of my truck. on to the other entertainment. The ball joints and free spin kit went in with out any drama. 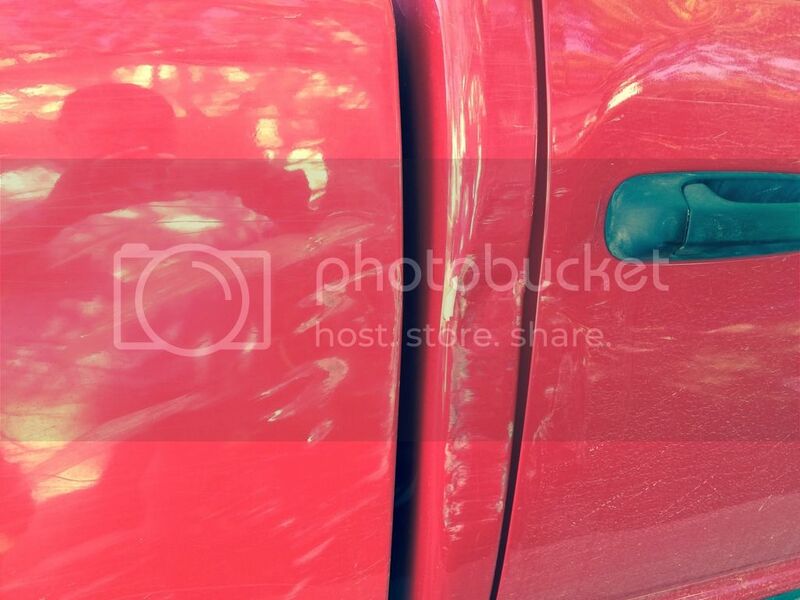 the truck with the hubs unlocked seems to turn very nicely. Will be taking a trip up to a local trail to make sure all is well. The rancho shocks seem to work well The ride has smoothed out nicely still working with the adjustments to see what i like. ill post a pic of what the hubs and such look like installed i'm actually surprised they don't stick out further as i went with the warn hubs to try and save a small bit of cash. but as always the PW wallet vaccum strikes again. That is a crappy feeling when someone breaks into or steals your vehicle, glad your insurance company is stepping up! Going with some dynatrac dynalocs soon too hopefully how do you like yours so far? Funny you should ask. 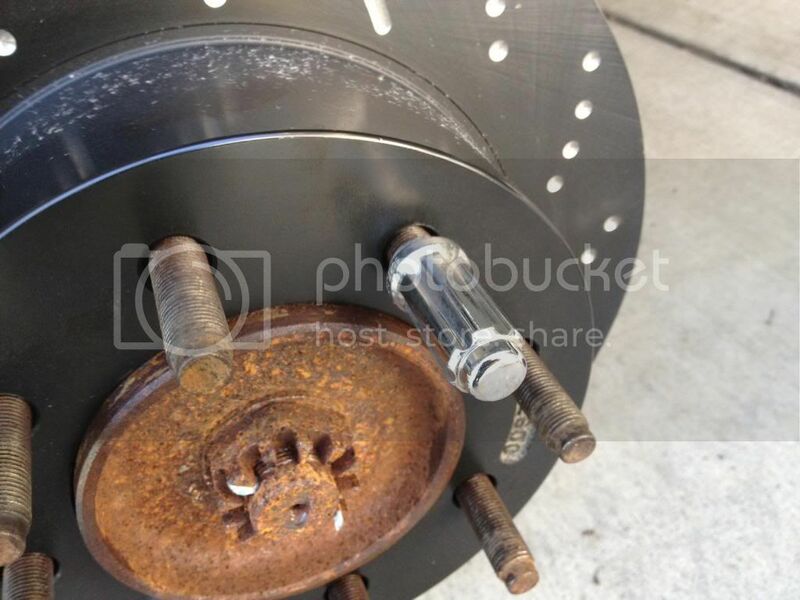 I went with the warn hubs and other that sticking out a bit they have been problem free and did just fine. I took the truck up to what is listed as a mixed moderate/easy trail in norther California called corral hollow. new hubs, new ball joints, new shocks and steering stabilizer all worked out well. Need to spend some more time experimenting with the adjustments on the Rancho XL's to see about smoothing out the on road ride but the off road ride was a bit smother than with the oem shocks that had over 70k on them. Now to what didn't work so well. it was early may and the trail looked nice a clear until we found what i will call natures strategically place snow. Got it stuck in the snow twice. had to winch out both times. so with that i have my first official dent in the truck. but with the winch and my gf at the winch controls we got out of the first one and then met some folks on the trail and had fun time getting through the rest of the trail with them including pulling out jeep XJ that got stuck and all of us working with the pw to get it out of the second place it got stuck. The trail really was a bit to narrow in spots but it got it through with minimal trail stripping and just the one dent trying to make what amounted to a 90 turn around a fallen tree on the path. lessons learned: always have a trail buddy in a second rig on a trail you have never been on. Always plan for the unexpected (deep snow in May during a drought in Cali???). Send notes to those folks that write the guide books for trails and have them include width recommendation on all the trails. 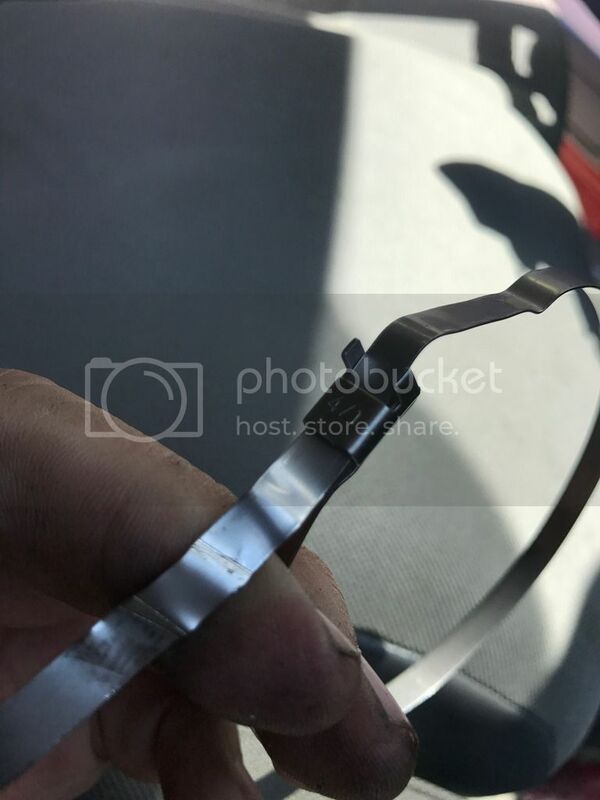 I was riding a roller coaster of blood pressure thinking i was going to have a rock or tree crease the sheet metal on some of those turns. But a hell of an experiene for what is my 4th formal trail run and only my second moderate trail. All in all good fun and earned the respect of a Jeep Rubi driver for keeping up on what he considers a narrow trail. After my fun in the snow in May. I started to plan a couple of updates to the truck for my annual off road camping adventure. I added a Custom splice synthetic winch line 7/16 100' the guys there are very good. That came in just in time i used a bronco as my tension weight. all went in smoothly. I got the pw tuned up and she was running perfect after the new plugs and injector cleaning. I wanted to get the brakes checked out and my local shop had issues with the lift so they could not get my truck checked out before the trip and i just ran out of time to even do a visual on them. got home had the time and bleed the brakes cleared out a lot of black fluid and air. and noted that the rears were in good shape. but the fronts were worn almost to the screamers. I had EBC green stuff on the fronts and i staggered the replacements initially as noted earlier in the build thread. with that in mind i dove in an ordered a set of ebc yellow stuff for the front and back ( should have done this originally but cant quite remember why i went green initially) so those came in and the fronts are on now the rears ill do next week to try and keep them in sync and better watched. will see if i notice a difference my initial runs around the loop i live on felt solid will know more next week. 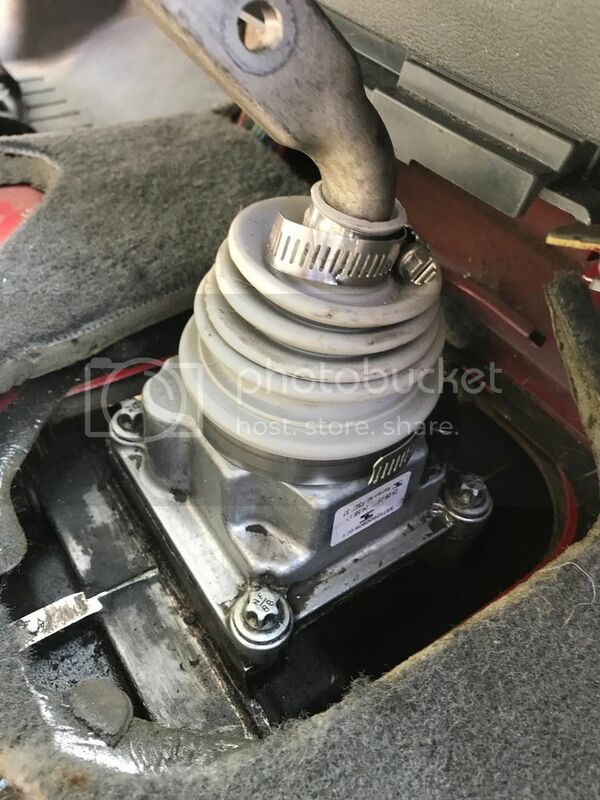 Ok as noted in a thread in the General area i had the fun of replacing my Manual transmission (G56) shiftter boot on my manual and i wanted to go through all the steps i took and show the pictures of what i saw. Hopefully this will help others out there as the YouTube version of this repair leaves quite a bit to be desired. 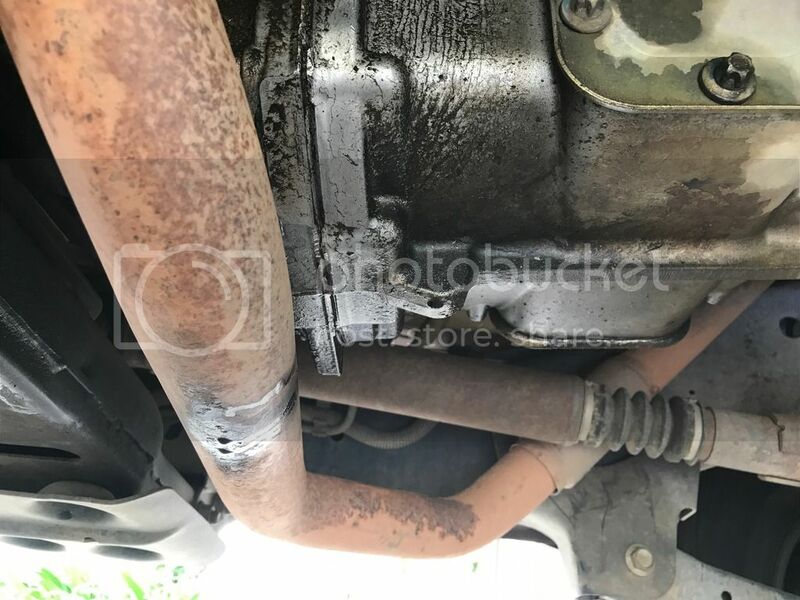 leaking transmission fluid that traced up and around the top of the transmission. 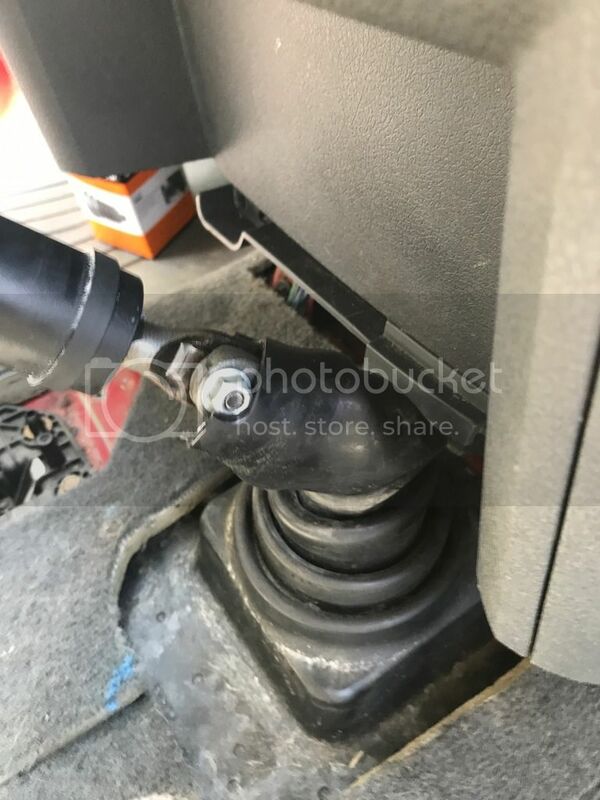 the common understanding is that this is probably the little orange shifter boot that has failed and fluid is being slung out through it so i planned ahead. I orderd the parts read and watched all i could so that i didnt accidently end up leaving the truck in an un-drive-able state. Step 1. Remove the console. 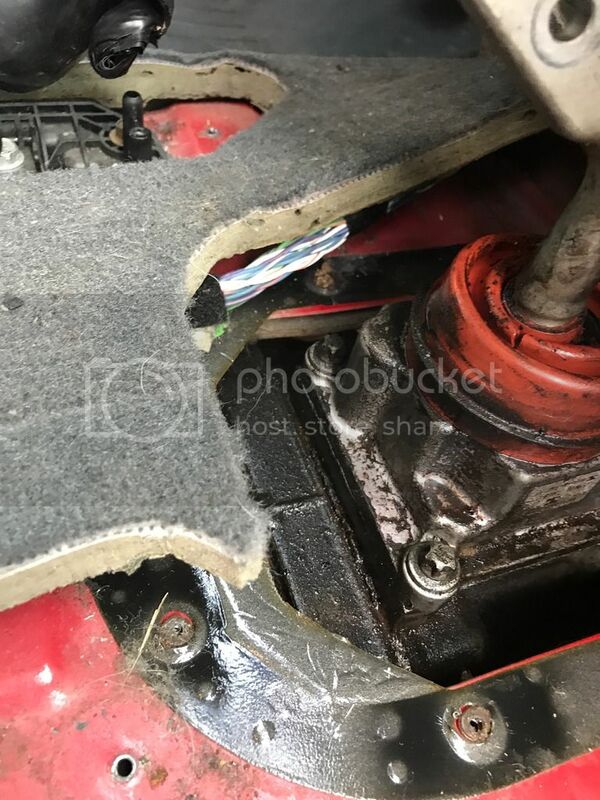 once i got the front half of the console off ( 4 x 8mm bolts) it was an easy step to pop 2 clips at the front of the external shifter boot, and then remove the back half of the console (2 x 8mm bolts). 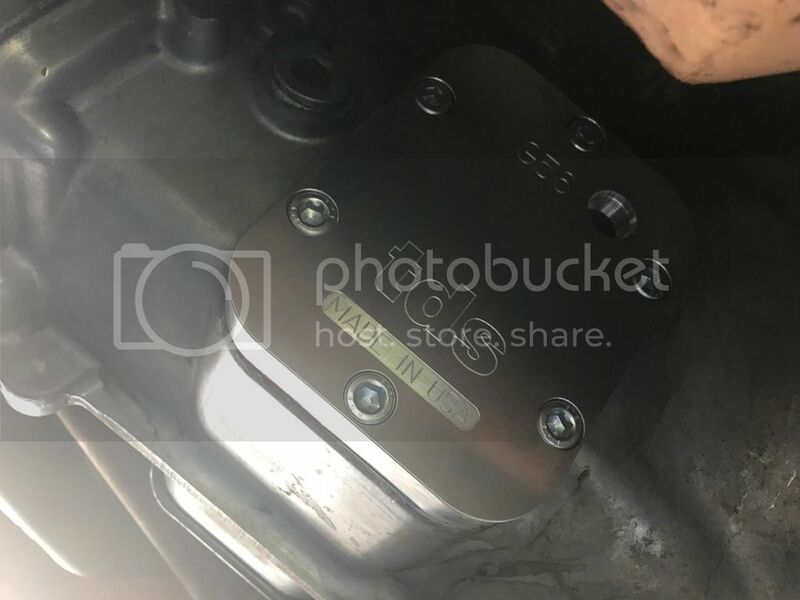 there are 6 8mm bolts holding down the black shift boot. note the carpet is going to be in the way so the use of small ratchets or electric screw drivers to get them out is best. once the screws are out then you need to pry the black boot loose. 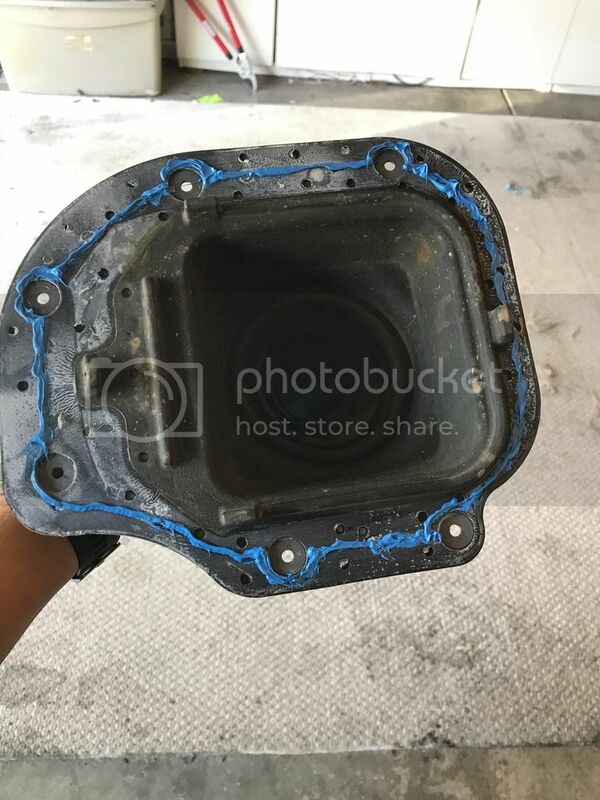 The boot has a foam gasket ver thin but still there, that is keeping the boot in place onces the screws are out. once you have broken the seal which took minor effort with my fingers to pry up. I just felt around the edge of the boot with my fingers trying to get a grip on the edge and this seemed to work just fine and it came loose. Once that seal is broken you need to unbolt the upper shift arm. These are 13 mm nuts the bolts are welded in to the upper half of the arm so you wont lose them. 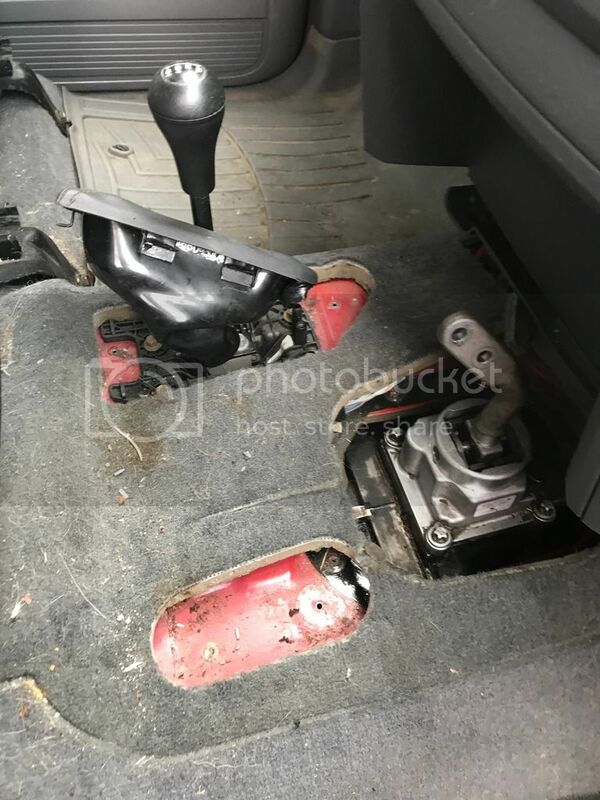 once the upper shift arm is removed you can pull off the black boot and you will be at hopefully the source of your issue. i set about putting things back together. as noted in other sources i had to cut away a bit of the boot to have it fit right. These are the clamps that came with it. i could not make them work with the pliers as the instructions indicated so i switched to the more conventional but taller hose clamps. Twinstick pointed out that heavy duty zip ties also may work for this application. ill let everyone know if the hose clamps cause issues as i need to pull the console again and really clean that mess out that is under the outer boots. 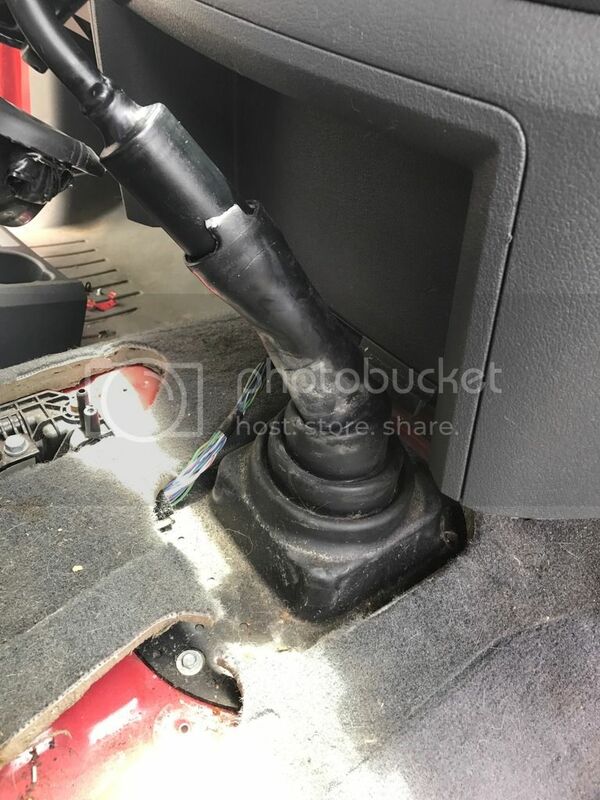 I pulled the middle boot down and reattached the upper half of the Shifter arm with a bit of blue lock tight just to make sure things didnt fall apart. now comes the fun part cleaning up the console its amazing what gets into all the bolt holes etc. 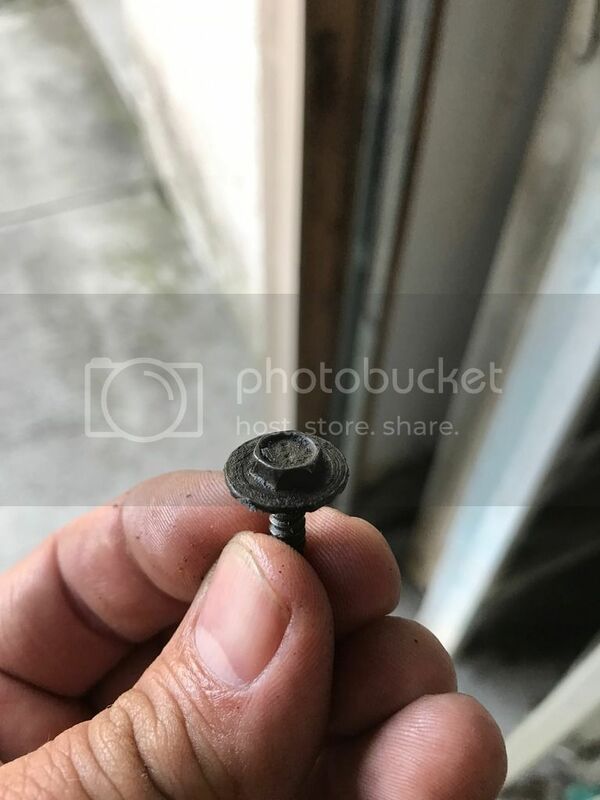 here is a picture of one of the nastier bolts i pulled. This was pulled from underneath one part of the cup holder area it was caked with crud. i soaked the bolt in WD-40 along with all its buddies and cleaned them and the console up before reinstalling. Please let me know if there are questions or need for clarification. 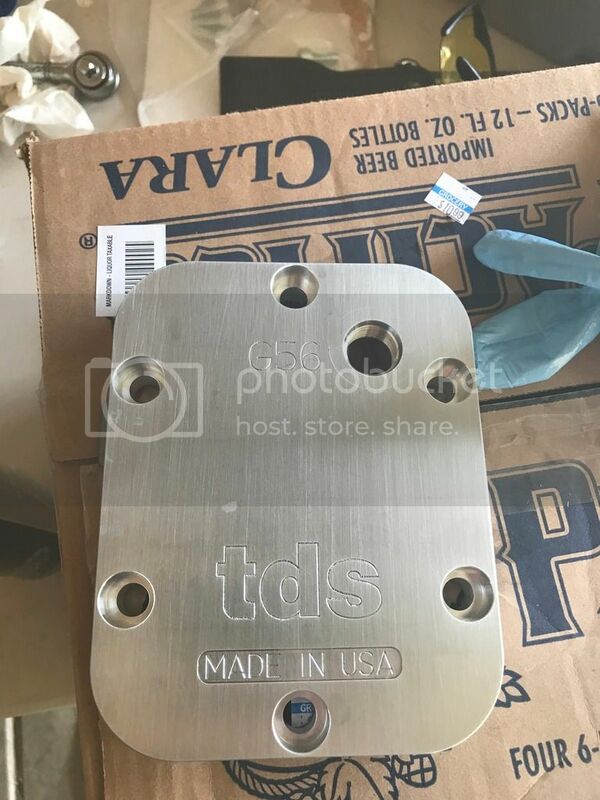 I will be taking pics of the TDS PTO cover install as i go and adding it here also. Thanks to Twinstick for the moral support when i first pulled the console and was like um this is not what i have been seeing.......where do i go next. Now that the leak was fixed i needed to service the transmission as i was not sure how much fluid came leaking out but the transmission coating made me feel like it was worth it doing as it was about time and the transmission was feeling a bit notchy to shift and not as smooth as it was after the last time it was serviced. i also wanted to see about getting a bit more fluid in the transmission as it seemed to feel better the last time i was able to over fill it a bit. once i finally got the proper tool built to remove the plug which took me buying a long 14mm allen wrench and cutting off a about an inch of the long side and then things all fell into place. The suggestions from Twinstick for the use of the gallon jug with strategic cuts in it worked perfectly. here is what the plug looked like when i pulled it. to enable me to put more fluid in closer 7 plus quarts. I found this PTO plate via a YouTube video about servicing the G56. the hole in the upper right side of the plate is the fill port which is higher than the standard fill port. Here is a picture of it installed. here is the Video https://www.youtube.com/watch?v=rPJKMrCqGSI for the servicing. While i don't think any of the G56 owners need this instruction it does talk a lot about the pto plate and the other version of it that i didnt choose. The alternative has additional ports for an additional magnet or temperature probe. I was able to pump in most of 8 quarts of Fluid I took to 1 gallon jugs pumped till it was pulling air switched jugs then pumped a bit in then poured the remaining fluid from the first jug in to the second and keeps going till it started pulling air and fluid again. The truck feels better not sure if this is keeping the temps lower with the additional fluid as i have not had any long drives but it definitely feels smoother and a bit quieter. The only issue i ran into down there was that on the passenger side the Cat got in the way of using my torque wrench on the upper bolts i would be concerned that the spacing on that side might prevent the install of those coolers. on the driver side there is plenty of space. id get under the truck and measure that spacing. maybe the '08 has better exhaust plumbing than my rig does. My magnet looked like it had about 3x the amount yours did, at only 198 miles. I changed the trans oil the 2nd day I had it from new. It only had 2 miles on it when I took delivery. Must of been a hard 2 miles with all the metal that was on mine. I checked & drained mine again @ 15,000+ miles. 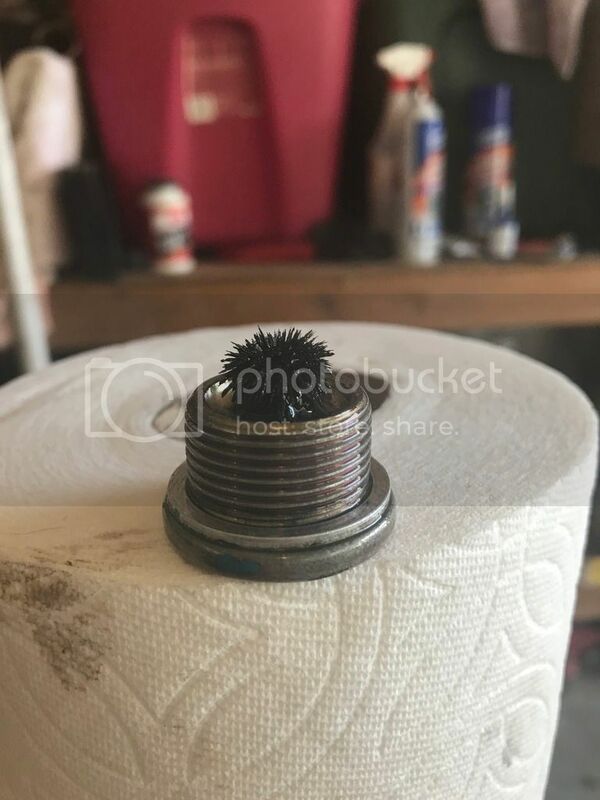 There was zero metal on the magnet & the fluid looked like new. I used a mix of 50% ATF+4 & 140w Lucas Lube Gear oil. Works great. I have read good things about the Redline MT90 and the Redline 75w90 shockproof gear oil.